Spring is finally here and that means getting outside and enjoying the beautiful crisp air and gorgeous temperatures. Especially before the summer heat hits and it's impossible to get outside at all. Celebrating spring doesn't have to be a hassle. Getting outdoors with your family and enjoying a fabulous lunch together is a perfect and super simple way to enjoy the beautiful temperatures. 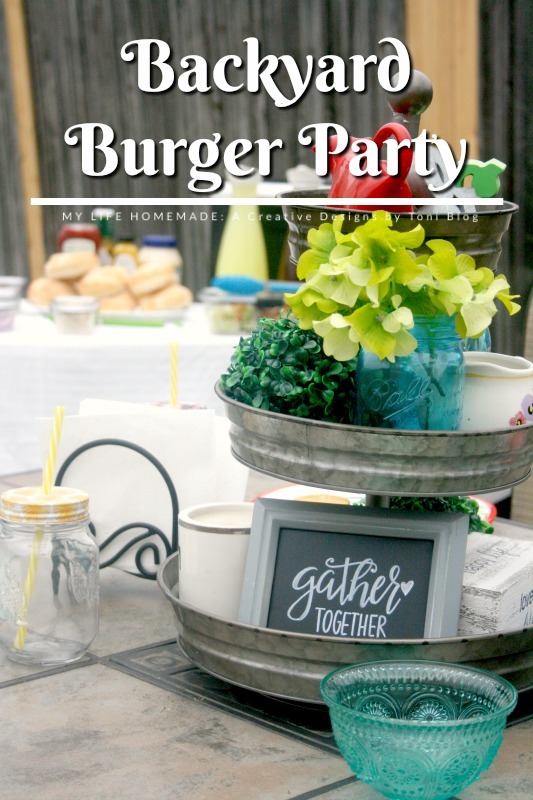 This spring head outdoors and host a Backyard Burger Party full of delicious foods and sides that your whole family will love. But, with the temperatures warming up, you don't want to be stuck in the kitchen preparing for your lunch and miss out on everything going on outside. So, that is why when preparing for our family burger party I love that I can use the 10 pc BRILLIANCE™ set from Rubbermaid®. It allows me to get everything prepared ahead of time before everyone heads over. 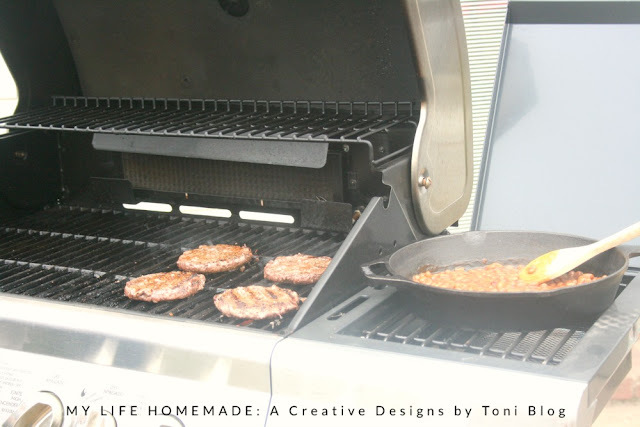 Are you ready to break out of the winter funk and head outside for a fun backyard burger party?!?! I know I am so ready for the spring time. We didn't have much of a winter here in north Texas, but we had a good amount of freezing temps that I personally love, but I do love the warmer temperatures a tad bit more. 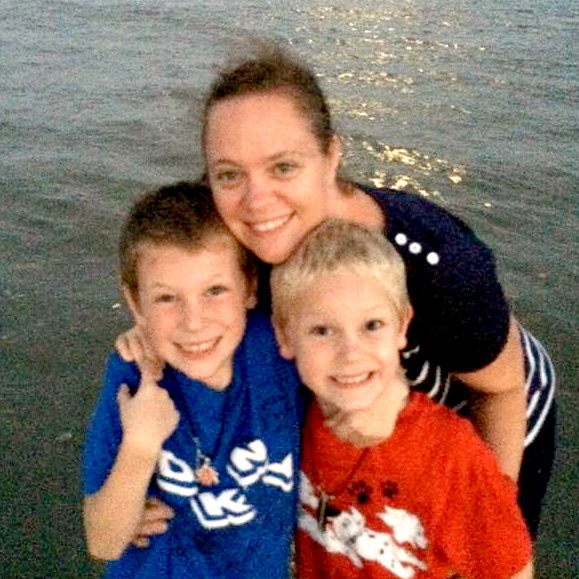 I love to be able to get outdoors with my boys and ride bikes, jump on the trampoline, and of course picnics and outdoor dining! 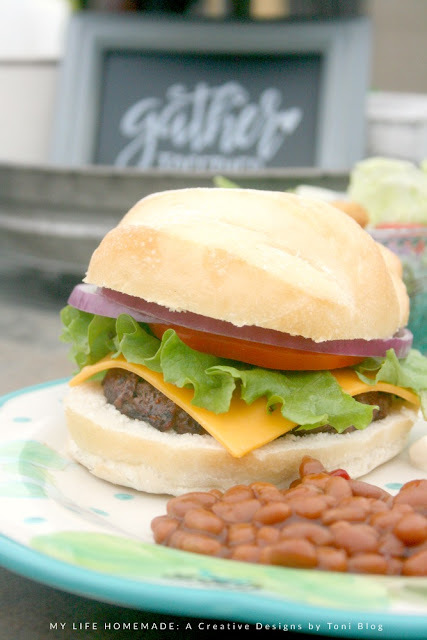 Hosting a backyard burger party is so easy and only takes a few simple steps to help celebrate spring and enjoy quality time with your family outdoors. Invite all your family and friends over and fire up the grill for an afternoon lunch that everyone will love. You just need a few items to make your party stand out. Head to Walmart, Bed Bath & Beyond, Target, Amazon and other fine retailers to pick up the 10 pc BRILLIANCE™ set from Rubbermaid®. 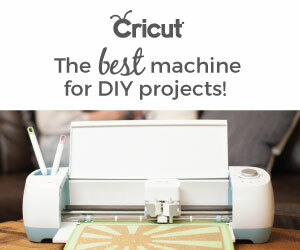 It makes food prep simple and amazing! Plus, makes amazing serving dishes because they are air tight and helps keep the bugs and enviornment out of your food. Start preping your food about 1 hour prior to your guests arrival. You want to make sure you have everything ready to go before they arrive so you don't miss a single moment. The 10 pc BRILLIANCE™ set comes in several differet sizes that holds everything you'll need for any gathering. 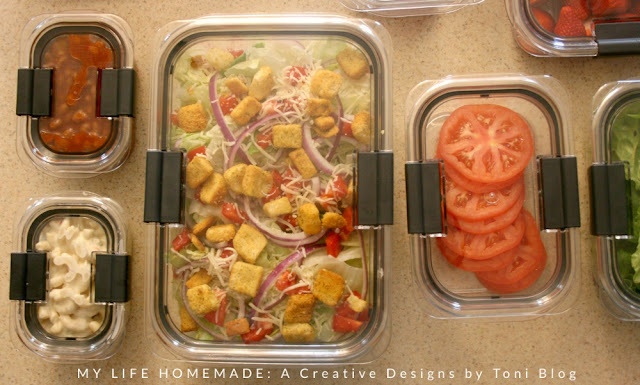 We placed our prepared tomatoes, lettuce, onions, entire salad, sliced cheese, baked beans, macaroni salad and even our prepped burger patties in the different storage containers. Once we had all our food prepped and stored safely in these 100% Leak Proof Guaranteed containers, we stored them perfectly in our refrigerator. This now allows me to prepare the yard for our lunch. 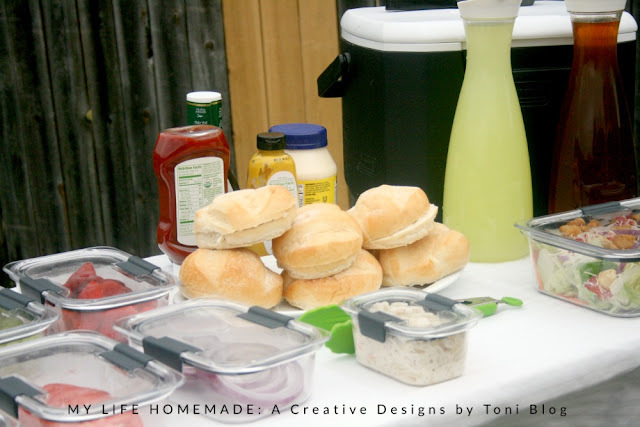 These storage containers are a must when planning your backyard burger party. 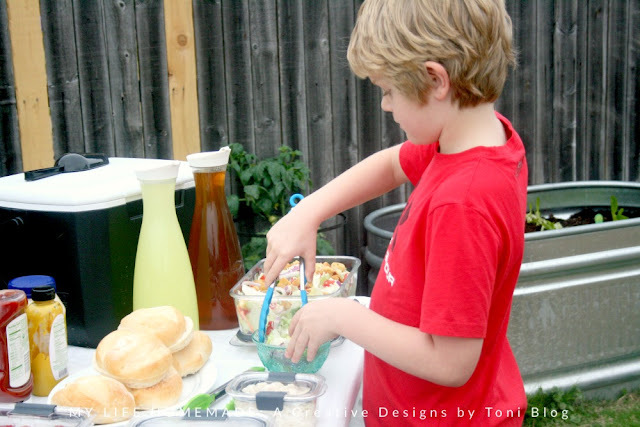 I don't know if I could have prepped my food ahead of time and still had everything fresh and delicious when party time came around if I hadn't used them. 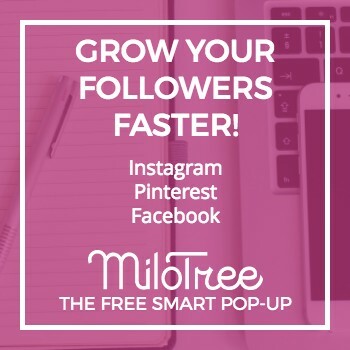 Not sure if these are right for you? 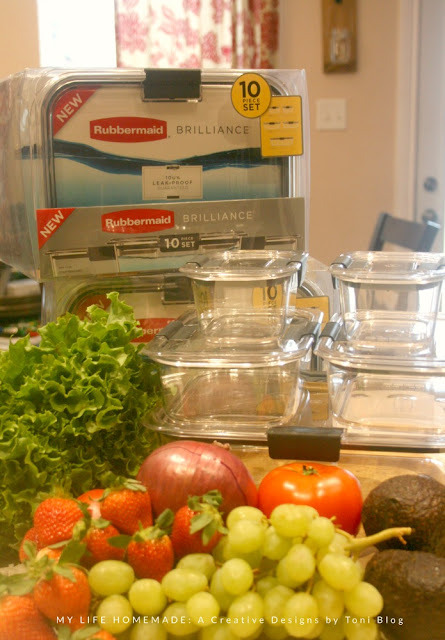 Check out more great reasons why I love the 10 pc BRILLIANCE™ set from Rubbermaid®. The #1 point of differentiation is 100% Leak Proof. Guaranteed. Rubbermaid® BRILLIANCE™ is available nationwide at Walmart, Bed Bath & Beyond, Target, Amazon and other fine retailers. 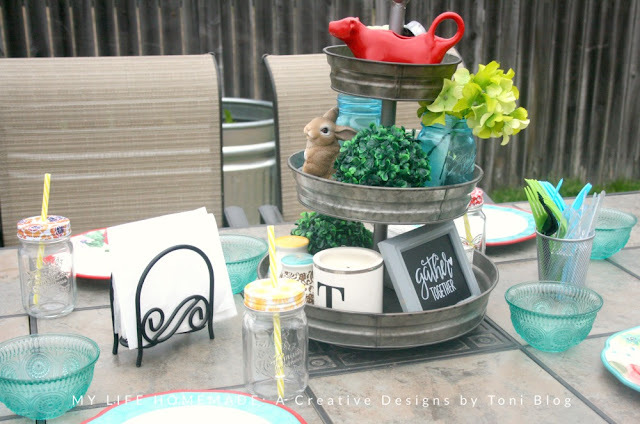 When planning our outdoor lunch, we used our current outdoor patio table to dine at. I chose not to use a table cloth because it was a little windy outside and I didn't want to have to deal with the tablecloth flying away and our food and plates blowing around. I set up a table to the side to hold all our delicious food for our burgers, sides, salads, and even drinks. 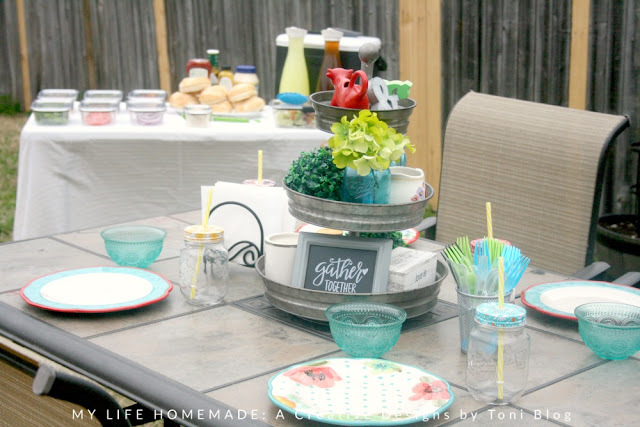 Normally our outdoor dining consits of paper plates but not for this party! I had to pull out the pretty plates so we could dine in style. Glass mason jars with lids were perfect for drinks especially with kids. 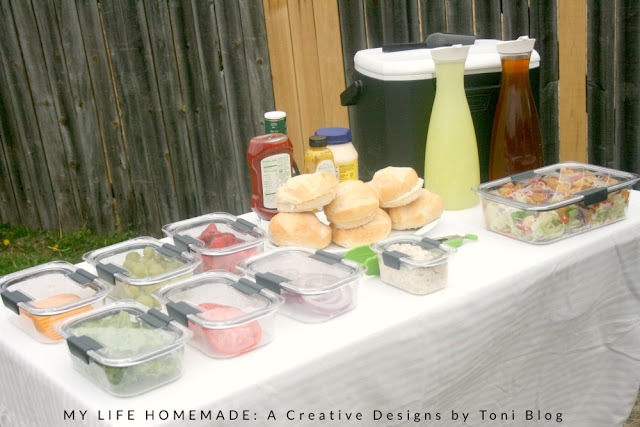 The food table was set up perfectly using the 10 pc BRILLIANCE™ set from Rubbermaid® as a make your own burger bar. This way everyone could make their burgers the way they want to make the perfect burger! Fresh bakery buns, strawberries and grapes, two choice of sides, side salad, condiments, and fresh lemonade and sweet tea completed our food table. 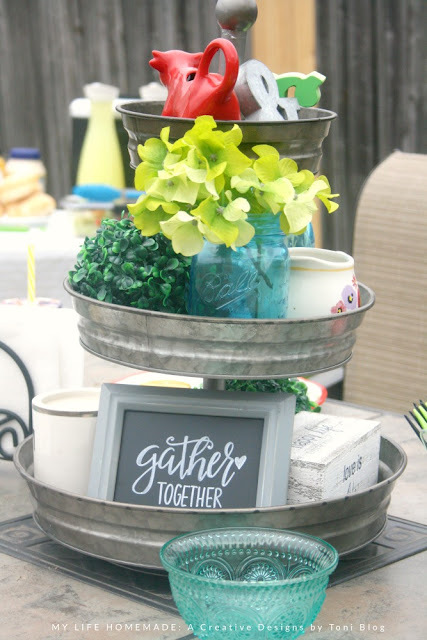 For decor I used this 3-tiered galvanized stand filled with a framed chalkboard with hand-letting, grass balls, flowers, and other items I thought would be perfect. I had most items around the house. 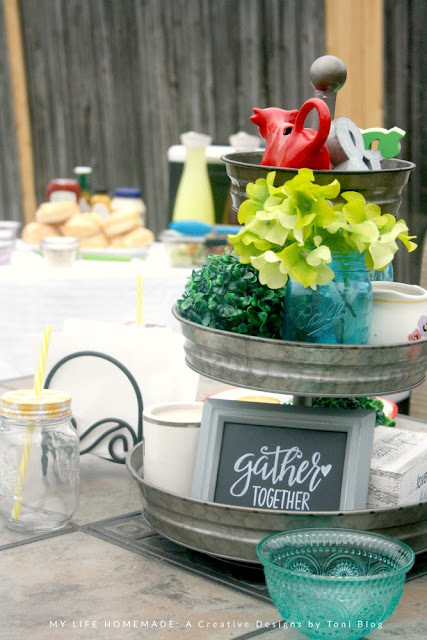 Now that our party was all set up, it's time to head outside and get cooking with family. We threw a few burgers on the grill, heated up the baked beans and got straight to digging in to the great food and having fun. It's time to get started and enjoy those burgers. 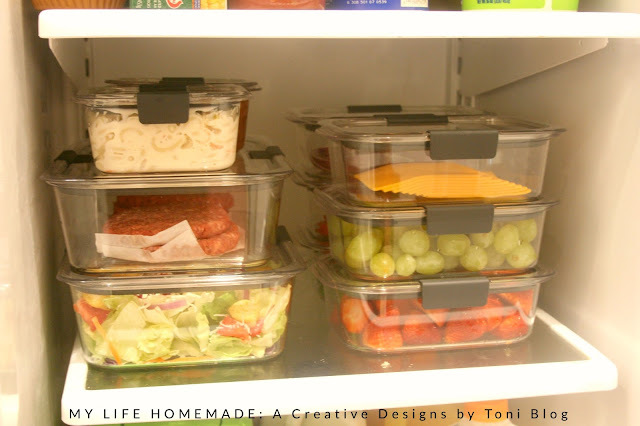 Not only does the 10 pc BRILLIANCE™ set from Rubbermaid® make amazing storage and prep containers, they also make excellent take home left over containers as well. Because they are 100% Leak Proof I know their food will stay where it needs to on their drive home. Imagine how grateful my family was that I was able to send them home with their own set of 10 pc BRILLIANCE™ set from Rubbermaid®. What an amazing afternoon we had and I can't wait to do it again.